This tutorial will show you how to connect more then one VPS server and also one or more physical servers to a IPSEC VPN (Virtual Private Network). There is a lot of instructions available on the web showing you how to build your own VPN on OpenSWAN, but it's marked as deprecated so the new recommended method is to use StrongSWAN instead. Using StrongSWAN has a slightly different configuration as describer below. Let's assume, that you have a Cisco router at your office with a LAN (local area network) that has a rang of 192.168.1.0/24 and with a IP address of 5.5.5.5 on a external interface and a remote VPS with a IP address on interface 6.6.6.6. 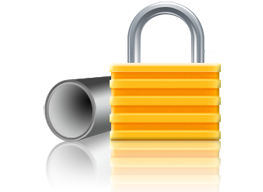 You would also like to have secure access from 6.6.6.6 to your local LAN and vice versa. We can use shared key authentication, but you can also use authentication with certificates. Next add to the configuration file /etc/ipsec.secrets your shared secret string. 6.6.6.6 5.5.5.5 : PSK "some-text-like-long-long-password"
In this how to we will assume that you have already configured a worked Cisco router with IP address 5.5.5.5 on external interface Gigabit Ethernet and 192.168.1.1 on internal interface. As you can see, It's all working and you how have a secured connection between your local lan and remote VPS. If you have any questions simply add your comments below and I will be happy to answer them.